No Social Share • Our ProgressExciting News! This very rarely happens, but I have sooo many Blog posts on the go for you all atm what with the Olympics taking place and other bits and pieces going on. But all of that is going on hold for today as I have some very exciting news to share with you. Those of you who follow me on social media are probably already aware of this, but I thought it needed a blog post too! 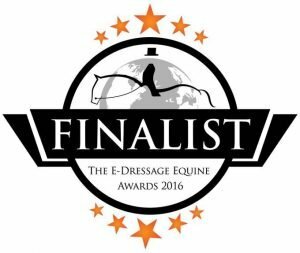 E-Dressage are having a big awards ceremony towards the end of October and I am very pleased to say that EquiPepper is a finalist for Individual Equine Blog of the Year! I can’t believe it! It’s fantastic! There are 6 finalists in this section, so it could be tough to win (so you might see a lot more content on here from now on!) But I feel like I have a reasonable chance of winning! The winner won’t be announced until the big night in October, so there’s a little while to wait yet! But I’m really excited and can’t believe how well this blog has done in the year and a bit I have been writing it! Thank you to all of you who regularly read and follow EquiPepper and I hope you’re as excited by this as I am! Read more about the other awards and finalists here.